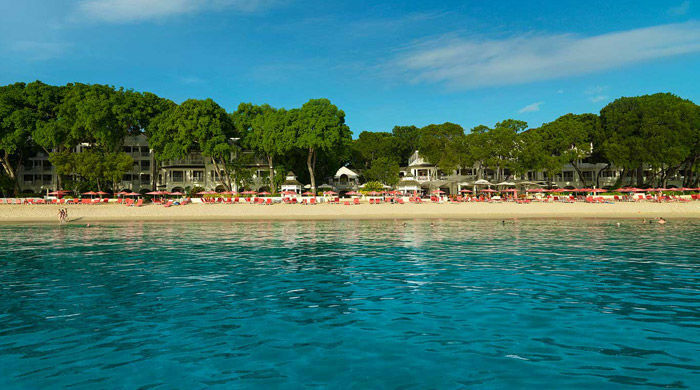 Set on a magnificent beachfront, Sandy Lane is justifiably feted as one of the world’s most luxurious and elegant hotels - and is certainly the hotel in the region. 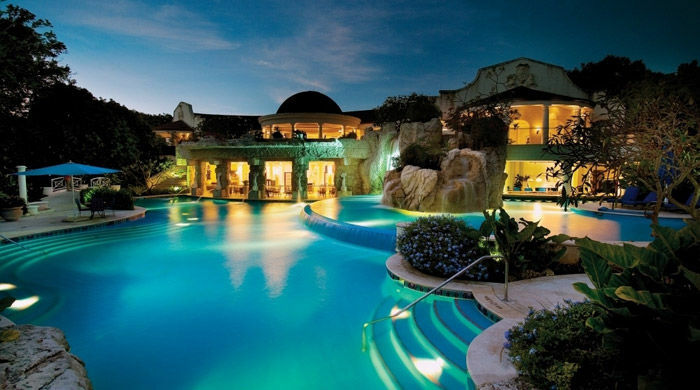 Set on a magnificent beachfront on the beautiful Caribbean island of Barbados, Sandy Lane is justifiably feted as one of the world’s most luxurious and elegant hotels - and is certainly the hotel in the region. Favoured by celebrities and discerning travellers, guests at Sandy Lane are treated like royalty with impeccable service and world-class facilities being the minimum standard throughout. 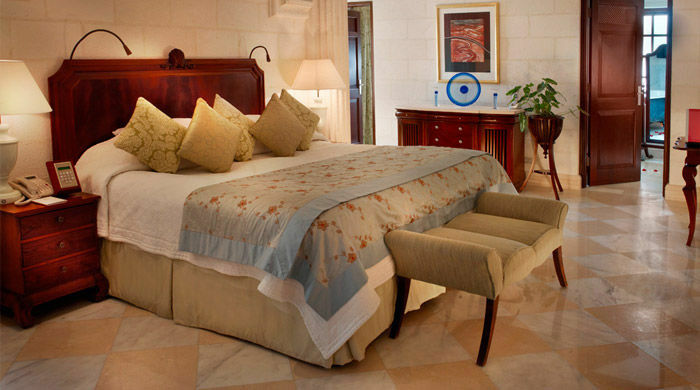 Spacious and supremely comfortable, Sandy Lane's rooms and suites offer stylish sophistication, every modern convenience, but with the feeling that you're staying at the house of a special friend rather than a hotel. Rooms and suites offer views of the tropical gardens or the azure waters of the Caribbean Sea, and fine furnishings and tasteful decor create a soothing ambience and the perfect escape from the pressures of daily life. Sandy Lane boasts number of stylish bars, a wine cellar and four wonderful restaurants celebrating the very best cuisine from across the world. The hotel's signature restaurant L'Acajou is a particular highlight, with its sophisticated menu of refined European cooking with a particular emphasis on French and Mediterranean cooking. 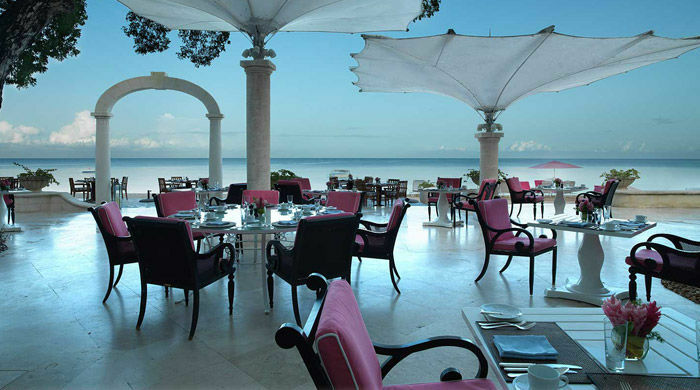 For beachside dining, the delightful Bajan Blue, located on the hotel's lower terrace, is the place to go. Here you'll find a melange of European, Caribbean and Asian cuisine, as well as themed buffet dinners, a sushi station and a state-of-the-art grill. The Spa at Sandy Laneis a real highlight, offering the perfect escape where guests can indulge in massages and treatments from across the world. 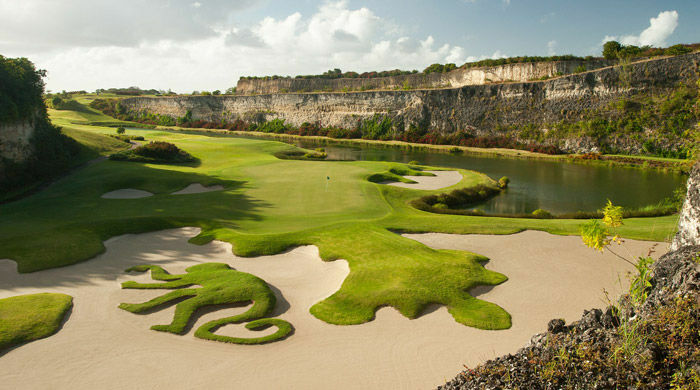 The resort is also a golfer's paradise and there are no less than 45 holes of golf to play through, including the famous ’Old Nine’ and the the Tom Fazio designed 'Green Monkey'. Families are also well catered for with a terrific kid's club. 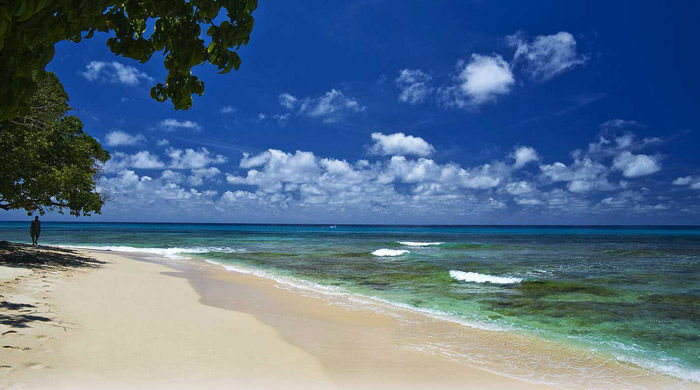 Turtle Beach combines the typical Barbados beach holiday with extensive facilities, an excellent choice of restaurants and a lively atmosphere with some great evening entertainment. Following a multi-million dollar refurbishment in 2010, the former Tamarind Cove has been reborn as a stylish and contemporary hotel. The House, Barbados is an intimate boutique hotel blending chic design with minimalist grace. Located on a secluded stretch of Barbados’ pristine ’platinum’ west coast, 40 minutes from the airport, The House is a sophisticated, simple retreat.